York Gate is one of the most delightful gardens I've visited yet in my travels, although it's difficult to find, has no parking to speak of and such restricted opening hours that you've got to be really determined to get there. 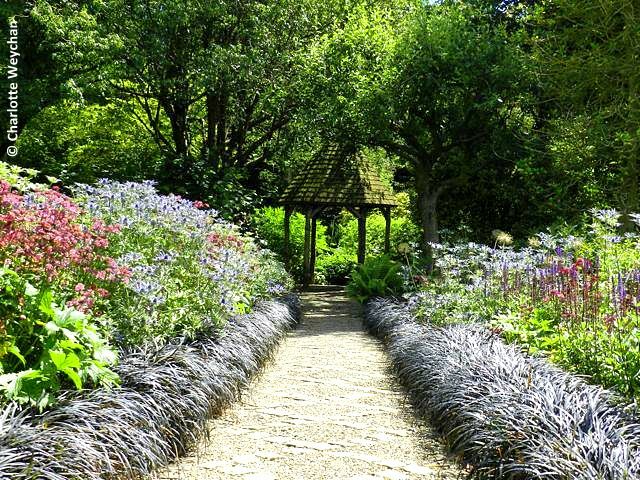 Not a good way to start a review of a garden perhaps, but all these obstacles are easily overcome and if you make the effort you won't regret your visit to this magical one-acre garden at Adel, just outside Leeds. This tiny plot is guaranteed to capture your heart so don't be deterred by any of the above. There is parking near the adjacent church and the owners are planning to extend the opening hours in the not too distant future. The garden is owned by Perennial - originally known as the Gardeners' Royal Benevolent Society - a charity that helps those in need from the horticultural profession, by providing advice and financial support to arborists, gardeners, plantsmen and others associated with gardening, who have fallen on hard times. 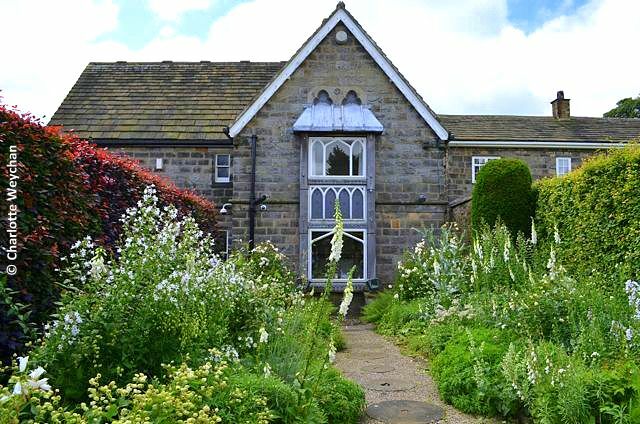 York Gate was bequeathed to them in 1994 by Sybil Spencer, who had lived and gardened here for more than forty years with her husband and son, who both died prematurely. Today the garden is a visitor flagship for the work that Perennial does helping horticulturalists. First view of the garden when you walk in the front gate - from here, paths entice you through the "rooms"
When Frederick and Sybil Spencer arrived here in 1951 there was nothing but the original farmhouse and an empty palette. 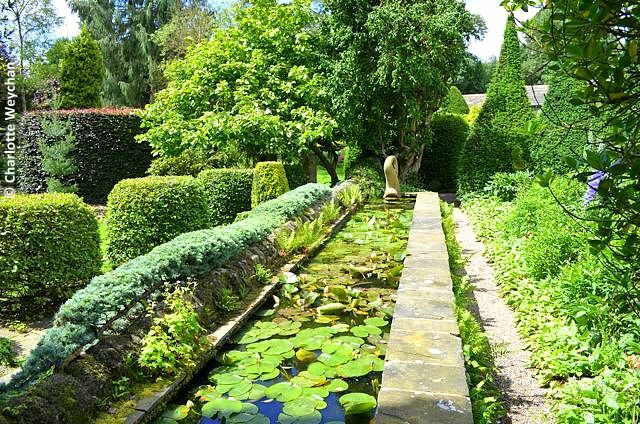 During the course of the next forty years, Sybil worked first with her husband (who died in 1963) and later with her son Robin, to create the garden that is there today. Robin was just 17 when he came to live here, but he was inspired by his parents enthusiasm and when his father died 12 years later, he stepped into his gardening shoes and carried on working with his mother, until his own premature death at just 47. But Sybil carried on gardening alone following the loss of both her husband and son, and on her death in 1994, she left York Gate to what was then known as the Gardeners' Royal Benevolent Society. Sybil was a skilled plantswoman who not only collected plants, but also had an eye for placing them. She had arrived here when there was nothing but an empty site, and spent more than forty years working first with her husband and then her son, turning what had once been an orchard into the exceptional garden there today. The one-acre plot flanks the house on three sides and is actually a series of enclosures divided by hedging and pathways that flow effortlessly into each other. 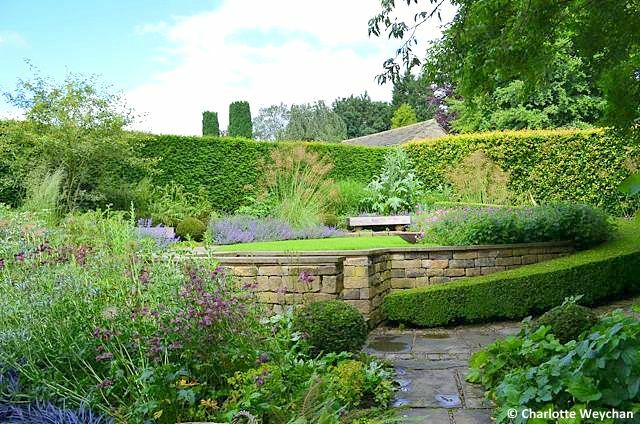 The use of space is so clever, that this garden feels more like a mini Hidcote or Sissinghurst than a tiny garden on the northern outskirts of Leeds. 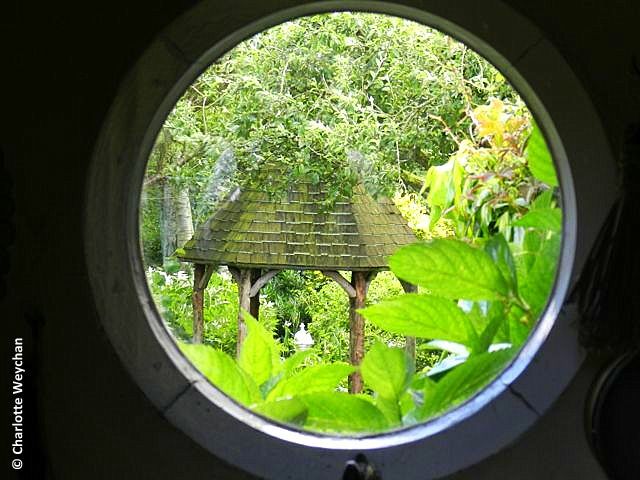 Today you will find 14 different garden rooms at York Gate, ranging from the Herb Garden (above) which entices you into the shade of the pillared summerhouse at the rear on a hot day, to the White Garden, inspired by Sissinghurst, and Sybil's Garden (below), which adds a touch of modernity to what would otherwise be a classical 20th century garden. 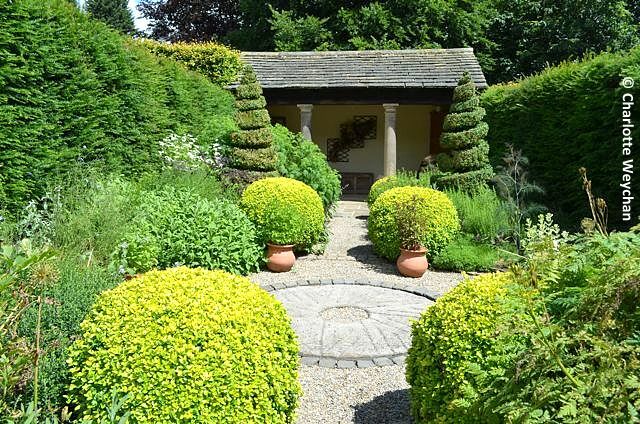 Beautifully manicured beech and yew hedges divide the different areas and you will be drawn along Robin Spencer's paths into each and every room, where you will encounter another mini masterpiece. Part of the charm of York Gate is the feeling of intimacy created by the different garden spaces. But you need to wander round several times to appreciate the gardening talent with which it was created. Every space has been used to maximum effect and there are many rare and unusual plants here. It's like a garden gallery, where you can stand and admire the paths and planting. The pathways lead you through the various areas, but take a closer look and you will see a host of unusual plants, all carefully placed to benefit from the conditions in which they're growing - shady plants for shady places and sun lovers for open aspects, all interspersed with hardy perennials that are less picky about their position. Look out too for the astounding stonework and the inlaid paths created by Robin Spencer during the 30 years that he gardened here with his mother. Every garden area has different underfoot features to complement the planting. Sybil's garden - a touch of modernity at "one of the most important 20th century gardens"
With a legacy such as this, Perennial needs to consider the importance of this garden, which has been heralded by great gardening critics, including Patrick Taylor and household names like Joe Swift who said: "York Gate is one of the most important 20th century gardens and is an outstanding example of great design". 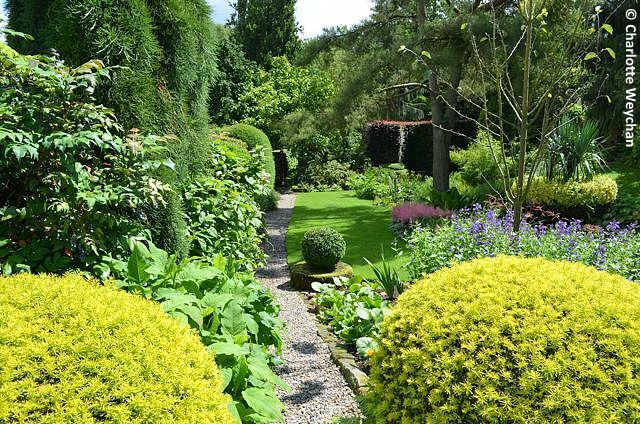 This is a veritable garden treasure and the measly three hours that it opens for just two days a week, is not giving garden lovers the chance to enjoy the legacy that Sybil Spencer left to fellow gardeners. 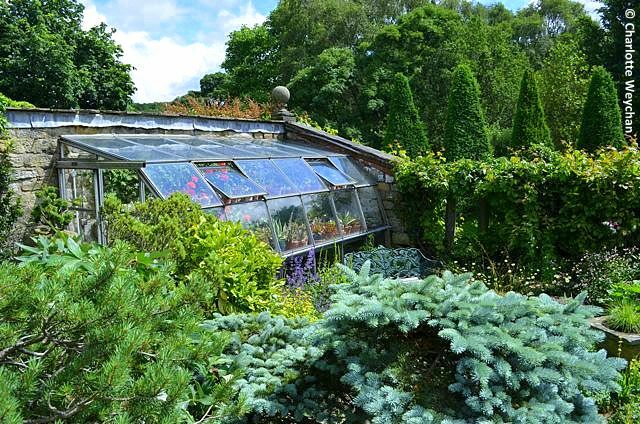 Any head gardener will tell you that increased visitor numbers pose problems for gardens, but this must surely be weighed up against the revenue it provides for the property? York Gate is easily accessible by car, although you have to park in the lay-by in Church Lane, opposite St John the Baptist church (below) on the main road and then walk through the churchyard to the garden, which is at the far end of the path leading out of the church on the left hand side. 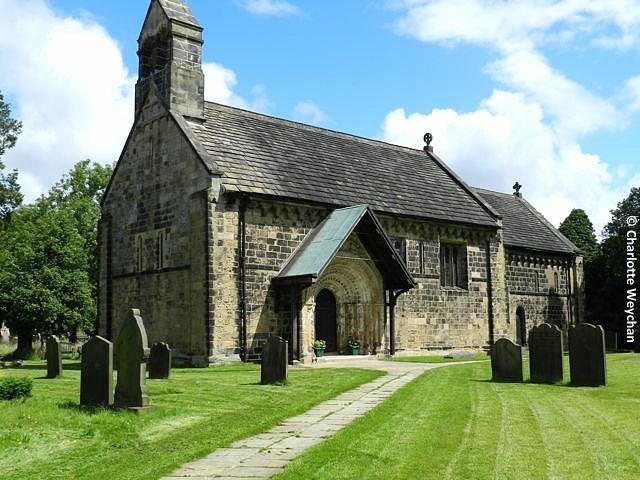 It is also accessible by bus from both Leeds and Skipton. Current opening times are only 14.00-17.00 on Thursdays and Sundays (1st April to 30th September), plus Bank Holiday weekends on both Sundays and Mondays from 11.00-17.00. Entrance is £4.50 for adults and children under 16 are free. A season ticket costs just £11.00 annually, so if you live locally, this is definitely the best option. Thank you for your wonderful review. You'll be pleased to hear that the car park (which is officially what appears to be the layby opposite the church) has just recieved planning permission to be upgraded and an official sign errected! The walk through the churchyard provides the opportunity to view this rare example of a Norman Church which has been included in the BBC's 'Hands on History' project! 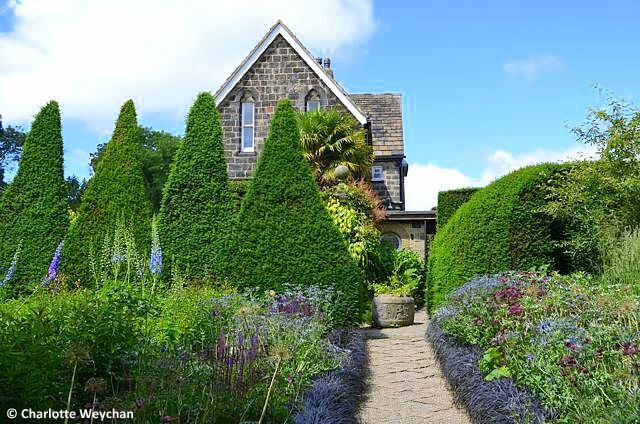 Great to hear this Anita - this garden is SO special that you really should show it off to as many visitors as possible. At the end of the day, the more visitors you get, the more it benefits Perennial!